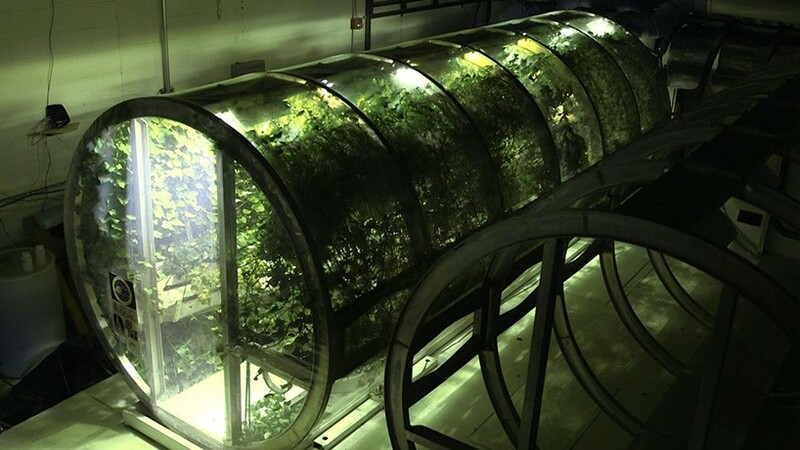 A key development in the quest to create sustainable ecosystems in space, this expandable greenhouse prototype aims to generate essential food and oxygen for long-term astronaut travel. 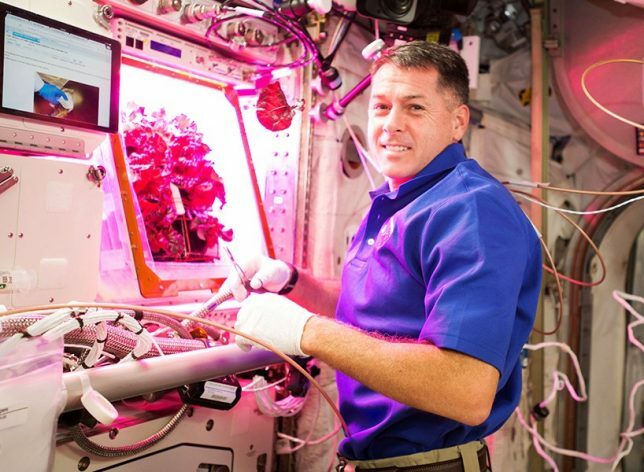 Recently, Peggy Whitson broke the record for longest stay in space (534 days) and astronauts have started growing their own vegetables on the International Space Station. This collapsible growing unit aims to take things to the next level, enabling longer-term settlements on places including the moon and Mars. 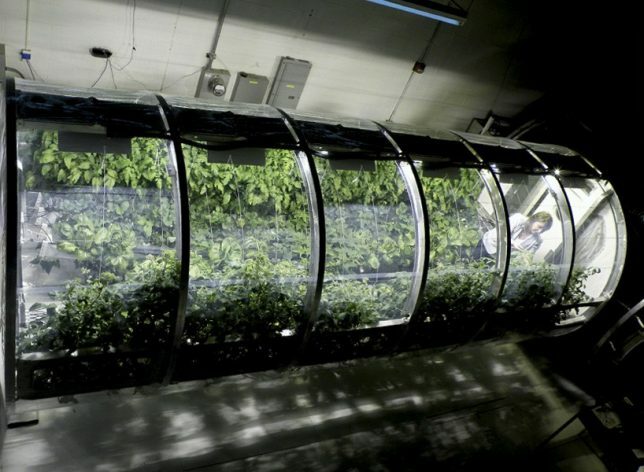 Developed by NASA and agricultural researchers at the University of Arizona, the test unit spans 7 by 18 feet. Its primary functions: convert carbon dioxide from crew, support plant photosynthesis. This bio-regenerative approach to life support is an essential system for recycling scarce resources off-planet. 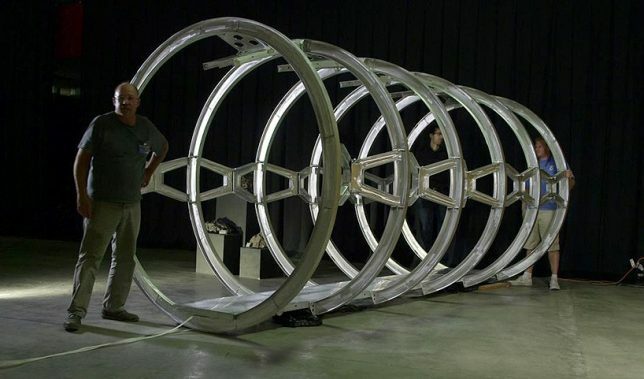 But a big trick to the design is simply its portability: materials take up space, so engineering minimal frameworks that will work when the system is expanded is critical to getting space greenhouses into (and out of) orbit in the first place. 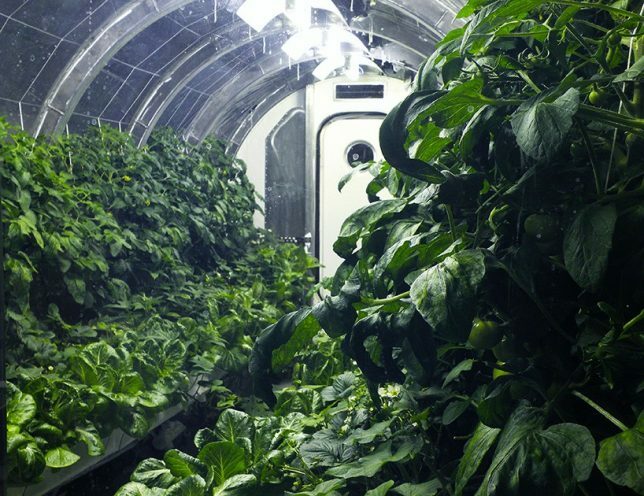 Meanwhile, on the ISS, astronauts continue to grow (and consume) plants outside of Earth’s normal gravity, paving the way for a better understanding of how agriculture will really work off-planet in the future.